“Ooooh…you just can’t generalise like that, Servaas! Some good people also started life in that year. Miriam Makeba, Hugh Masekela, Kitch Christie, Eddie Barlow, Frederik van Zyl Slabbert – to name only a few.” Despite her stern tone, Gertruida pats her old friend’s shoulder. “It’s not the year, Servaas. It’s not the war. We simply have to stop blaming the past for everything – as if it absolves us from all blame and gives us the right to condemn modern society. 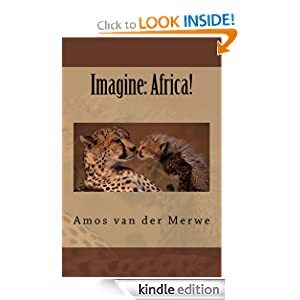 This entry was posted in History, Life, politics, short stories, South Africa, Uncategorized and tagged fear, zuma on April 21, 2017 by Amos van der Merwe. “You see, in the beginning everything is small – but that tends to change as time goes on.” Gertruida smiles at her little audience in Boggel’s Place. After their protest march on Friday, they have decided not to talk about politicians for a while – but now it’s Monday and it’s time to take stock of recent events. One day, a man noted a number of small fish in the pond near his house. They were exceptionally beautiful and exhibited all the colours of the rainbow. “I want those fish,” he said and strolled off to find a net somewhere. But the man was determined and made up his own net with bits of string. Then he thought about a container to keep the little fishes in and once again his friend advised against it. Still, the man ignored the advice. The only container he found, was an old wine bottle – the type with little handles at the neck. It was also a very precious bottle, something that had been in the family for some time. This, the man thought, would be a great container for the fish.They’d have plenty of room to swim around in and the clear glass would display their colours beautifully to anybody who cared to look. And who cared if the fish were poisonous – they’d be safe behind the glass. Anyway, they were to be looked at, not handled or eaten. The man started catching the fish with his net. It was slow going at first, but he soon got the hang of it and he quickly filled up the bottle with a small school of lively fish bodied. Their colours were even more remarkable inside the glass container, causing the man to puff out his chest in pride. “Nobody in the whole, wide world has fish as beautiful as mine,” he boasted. He’d spend countless hours admiring his fish, feeding them and watching them grow. In time, the fish became so big that he wanted to put them into a larger container, but there was a problem. By then the fish had grown so big that he couldn’t get then out of the bottle any longer. The neck of the bottle had been large enough when the fish were small, but now – having been fed well and grown to a considerable size – the fish could no longer negotiate their way out of the bottle. And still the fish grew and grew and eventually became so big that they no longer could swim in the bottle. They just hung there, suspended in water, eating all day while their scales slowly lost their lustre. “Oh, how ugly and fat have my beauties become! I used to be so proud of them, but now they’ve become bloated and fat and lazy – and I cannot get rid of them.” The man wept as he tried to imagine what the fish looked like before. The man didn’t know what to do. In the end the fish died, they rotted away and the bottle stank to high heaven for many years afterwards. And the man had no choice. He discarded the bottle – which nobody wanted any more – and regretted the day he first thought of catching the beautiful little fish in the pond near his house. “You mean a junk-skunk?” Vetfaan manages a lopsided grin. “Just so, Vetfaan, just so.” Gertruida doesn’t return the smile. 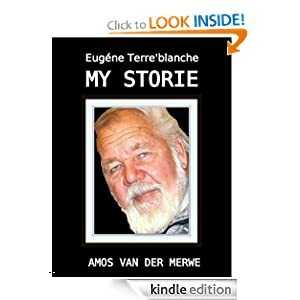 This entry was posted in History, memorial, politics, rainbow nation, short stories, Uncategorized and tagged #zumamustfall, zuma on April 10, 2017 by Amos van der Merwe. The three little pigs grew up but they never forgot the fear and the hatred of their youth. Although the big bad wolf no longer blew houses down or threatened to eat them, the three of them insisted on building an impregnable castle, high up on a mountain. Of course, Pig-who-had-built-with-bricks, insisted on being honoured as Leader. They all nodded for they remembered Sitting Duck, the poor creature who once dared question Pig-who-had-built-with-bricks. Sitting had asked whether it wouldn’t be fair if all the food was distributed to all the animals. Surely, Sitting argued, the poor working animals deserved reward for their hard work and loyalty. The question caused a classic Pig explosion. So Sitting Duck left the palace to become just another of Pig’s victims. Pig had become quite famous for his temper tantrums after that and many of his erstwhile friends soon tasted the sharp whip of his wrath. But Pig didn’t care. There were many, many others waiting at the gates of his castle in the hope of being invited in. These, called Waiters, knew all too well that nobody in the castle ever did any real work and that they received much more than they’d ever need – simply by agreeing with everything Pig said. One day, Pig decided his castle just wasn’t big enough. His many Piglettes, Piglets and other family members had become so numerous, that the rooms in the big castle were all occupied. This happened soon after the Hogs – a family from the Far East – arrived with many clever ideas and a lot of money. The Hogs were members of a little-known family of distantly related Boars, a radical group of relatives known for their cunning ways. And Pig-who-had-built-with-bricks instantly recognised their genius and agreed with everything they said. The Hogs, however, belonged to a dark and secret society which believed in pig sacrifice. Once they befriended a pig, it was their aim to get everything such a pig had. This, they called ‘bleeding him dry’ and was the origin of the saying “bleeding like a stuck pig”. But first the Hogs had to get Pig to play along with their plans, which Pig gladly did. Initially the Hogs kept their promises and Pig was handsomely rewarded for his cooperation. Then Pig got greedy.If the Hogs could make plans…why, so could he! And then, Pig told himself, he’d become even richer, add more rooms to his castle and be known throughout the world as The- pig-who-outwitted-them-all. So Pig came up with The-Most-Dastardly-Plan. He was going to steal all the money in the land, with which he’d not only build a few rooms, but castles for his extended family. By then, Pig’s greedy ways had made him to believe he had the right to everything in the country and he lived like that. He could eat more than everybody else, even Wolf, way back then. No amount of anything was ever sufficient. He wanted more…always more. And the animals outside the castle saw this and shuddered. “We must stop Pig-who-had-built-with-bricks,” they said, “for he is taking food from our mouths.” And the animals outside the castle protested and protested, while Pig-who-had-built-with-bricks stood inside his castle, laughing at them. Then something strange happened. Some of Pig’s friends inside the castle had to admit to themselves (softly at first) that maybe, just maybe, Pig-who-had-built-with-bricks, was the biggest manipulator in the land; that he used them all for only one reason: to increase his wealth. The more these animals whispered, the more they became convinced that something had to be done with Pig-who-had-built-with-bricks. One by one, they quietly left the castle, until only the Hogs and Pig-who-had-built-with-bricks remained. That’s when the Hogs – clever as they were – decided that they had had enough. Taking everything they could, they, too, left one night. Poor Pig-who-had-built-with-bricks. He was left all alone in his huge castle and could shout (or laugh) at nobody any longer. So lonely was he that he longed for company – any company – even Wolf. But in the wide, marble-tiled corridors of his massive castle, only the mocking laughter of the Hogs remained. And it drove Pig-who-had-built-with-bricks completely mad. He spent the rest of his days believing that he still ruled over the country, while the animals couldn’t stop ridiculing their former leader. And while the poor pig played his make-believe games, the rest of the animals started repairing the damage the Hogs had caused. And later, much later, they all lived happily ever after. But it took a long, long, very long time. This entry was posted in History, Life, politics, South Africa, Uncategorized and tagged #blackmonday, #Gordhan, #zumamustfall, zuma on April 3, 2017 by Amos van der Merwe. Rasputin Syndrome in South Africa? “Gee Gertruida, do we really have to listen to a history lesson? Pravin Gordhan just got axed – as did that nice man, Jonas – and we’ve been trying to make sense of it all. And still you insist on telling us about some crazy Russian?” Servaas shakes his head – what is the world coming to? A heavy silence hangs in Boggel’s Place when Gertruida finishes her tale. This entry was posted in History, politics, Uncategorized and tagged #cabinet reshuffle, #Gordhan, zuma on March 31, 2017 by Amos van der Merwe. Free Giveaway: A troupe of Bumbledragons. Ever since the group at the bar became disenchanted with their endless discussions of current politics, whist has come to their rescue. This age-old card game is not as simple as it seems, and involves bit of concentration – something often lacking in most people when they consider the state of corruption in the country. “Ag Servaas, you are the original Bumblepuppy.” Gertruida simply has to show off, knowing that the others will be puzzled by the ‘new’ word. Actually, it is not new, but has its origins way back in the 17th century. “A what?” Vetfaan smiles – he knows he has taken the bait, but curiosity got the better of him. Originally, Bumblepuppy was a game played on a slanting, flattish surface with nine holes at one end. Round pebbles – or stones – were rolled from the player’s end, to finish up in one of the nine numbered holes. Then the scores were tallied up and a winner declared. “So there’s hope for us? For the country, I mean?” Boggel’s hand is a good one – he’s going to win this one for sure. This entry was posted in Life, politics, Uncategorized and tagged humour, life, music, trump, zuma on November 17, 2016 by Amos van der Merwe. “At least some of them,” Vetfaan interjects, ignoring Gertruida’s disapproving frown. “…and fought for so hard?” Gertruida ignores the taunt. “And, let me remind you: this never was a white or brown or black issue. Sure, we had some very bad apples spread widely through the development of our country, but somehow our spirit of adventure always had a foundation of justice to it. The Great Trek and the Freedom Struggle had more in common than meets the eye: both were quests for freedom from oppression and both were driven by men and women who sought civil justice. The methods differed, but the basic premise was the same. “That’s when we become circus lions?” Vetfaan arches an eyebrow. Gertruida stares at her friend for a second or two before answering. “Time. That’s the answer. That, and the power of history. Lions don’t keep record of who growled what and when – they lack the skill of understanding history. And to them there’s no yesterday and no tomorrow – they eat, hunt and sleep as and when the need arises. We, on the other hand, cannot escape the past and are very much aware of the future. 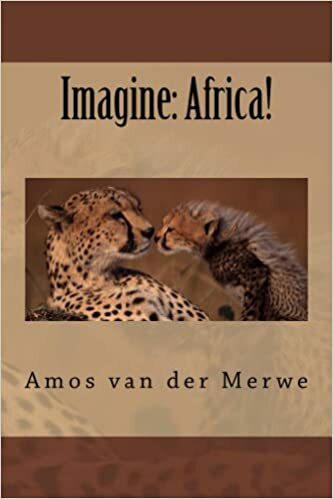 This entry was posted in History, politics, short story, South Africa, Uncategorized and tagged fees must fall, politics, trump, truth, zuma on October 17, 2016 by Amos van der Merwe. Servaas sighs. The great promise of democracy has turned into a curse of a one-party state. Whichever way he looks at the future, he simply cannot see much hope. And if he feels like this, how much more would the poverty stricken masses be despondent at the prospect of a bleak future? Gertruida looks up sharply. Yes, she remembers the incident that happened on the farm in Limpopo. Vetfaan’s distant nephew owned a hunting farm in the Bushveld, where overseas hunters paid handsomely to hunt a variety of game. During the hunting season of 2013, a hunter got excited and shot at a huge buffalo, wounding it in the shoulder area. The buffalo went for the hunter. Vetfaan’s nephew realised what was happening and tried to bring the charging beast down with a head shot. The bullet glanced off a horn. Another shot went wide. This all happened in a fraction of a second. The buffalo, enraged and in pain, wasn’t going to stop. The foreign hunter was going to die. Vetfaan’s nephew then ran from his hiding place, positioning himself for a better shot – the very last chance to save the hunter. The buffalo swerved, suddenly focussing on the new adversary. He gets a fondly surprised smile from Gertruida. Yes, old Servaas has seen governments and parties come and go. He, like the rest of the population, is no stranger to change. Vetfaan walks in, dusts his hat and sits down with an expectant wink. Time for a beer; he’s been servicing his old Landy and it’s hot out there. 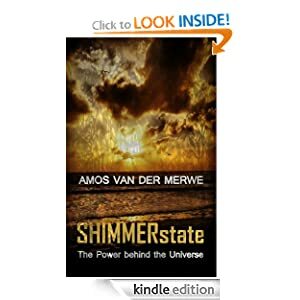 This entry was posted in History, Life, politics, short story, Uncategorized and tagged corruption, politics, WPLongform, zuma on April 6, 2016 by Amos van der Merwe. “Funny, isn’t it?” Gertruida, true to her nature, doesn’t elaborate for a while. She wants a response and won’t continue until she gets it. “Um?” Vetfaan gives her the obligatory quizzing look. It wasn’t Lloyd Webber who created Gus, the theatre cat, but T.S. Elliot, who described the old cat in Old Possum’s Book of Practical Cats. Gus, originally called Asparagus, used to be a great actor once. Now, old, decrepit and no longer the darling of the stage, poor Gus is left with the memories of his previous successes. His best ever performance, he remembers well, was when he played the role of Firefrorefiddle, the Fiend of the Fell. That scoundrel cat broke into every house and stole everything he wanted. He used to be so good, Gus recalls, that he thought he could never be caught. Where the Gallery once gave him seven cat-calls. Was Firefrorefiddle, the Fiend of the Fell. Gus used to have what is called the gift of the gab. He could talk in a way his audience simply couldn’t ignore. And I used to know seventy speeches by heart. And I knew how to let the cat out of the bag. With an hour of rehearsal, I never could fail. Whether I took the lead, or in character parts. Now, his fiery performances are a thing of the past, and Gus – the Theatre Cat – can only dream about his glory days. The younger generation is taking over, something Gus finds a bit unacceptable. “Well, the Theatre’s certainly not what it was. Gertruida smiles – he’s put his foot right in the trap. Vetfaan sighs. He’s been tricked again. Gertruida’s story wasn’t about T.S. Elliot after all. He should have known better. “What we call the beginning is often the end. And to make an end is to make a beginning. The end is where we start from.” T.S. Eliot. This entry was posted in History, Life, politics, Uncategorized and tagged history, politics, south africa, zuma on March 11, 2016 by Amos van der Merwe. One day, she says, Porcupine found a coconut in the desert. Now, this was a strange thing, for the coconut was completely out of place: it simply didn’t belong there. Porcupine wondered about this, but when he shook the coconut, he heard the milk swill around inside. Oh, and how the other animals admired Porcupine’s new object! Zebra liked the hair on the surface, while Gemsbok thought it resembled the tsammas that fed him during dry seasons. Elephant sniffed at it, thought it was foreign, but still said it was a nice thing to have. But in all communities you’ll find that not everybody accepts what others admire. Hare, for instance, asked what good does the coconut do, sitting there on a shelf in Porcupines house? And Owl, wise as always, remarked that such a thing could only bring bad luck if it were to start growing. And so the coconut stayed in Porcupines house, where the other animals could see it. Although some maintained that it underlined Porcupine’s powers, after a while others started doubting it. They asked owl to explain. Porcupine ignored such remarks, of course. Instead, it watched as the coconut sprouted a few little roots and started growing a stem. To keep the coconut alive, Porcupine had to water it every day. Whenever its roots became dry, its fragile leaves drooped and hung limp. No longer was the coconut able to sustain itself with its own milk and oil – Porcupine had to spend his days carrying water from the little fountain that supplied water to all the animals in the desert. One day, the animals gathered to discuss the situation. Coconut was using so much water, there was almost nothing left for them. Many of the other animals simply nodded, because their mouths were too dry to speak. For a long time the animals only complained like this, but nobody dared face Porcupine with his terrible quills. And then, at last, the fountain dried up completely. It was no longer possible for Porcupine to sustain the tree he had planted. Some animals died. Some animals sought for a new home. In the end, all the animals suffered. Ever since then, Porcupine had to hide from the rest of the animals, and had to search for food at night. His wonderful Coconut had ruined his reputation as a powerful creature. Walking around in daylight, proud of the object of his power, became impossible. Instead, he became a shadowy figure of the night, causing the other animals to scorn him as he dug around for roots in the moonlight. It took a long time, but in the end Porcupine secretly wished he had never found the coconut. 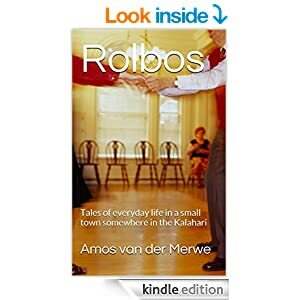 This entry was posted in politics, rainbow nation, short stories, SONA, Uncategorized and tagged nkandla, politics, postaday, south africa, WPLongform, zuma on February 3, 2016 by Amos van der Merwe. Gertruida does this sometimes. She’d make an outrageous statement – completely out of the blue – and then wait to see what the others do with it. Sometimes this habit unleashes heated debates, which helps them pass the time of day. One can never be sure if she is really serious or whether she’s just rattling their cages for the fun. This, too, is typical of the convoluted way Gertruida’s mind works. Straight lines, she always maintains, are for fence wires. Vetfaan collapses in a fit of laughter. “Really? If the kids can see through the farce, why do people still vote for him? “That’s what I think, Vetfaan. An anthem is a message to the world. We tell the world out there who we are and what we strive for.Listen to this: it’s more catchy than God Save the Queen, has more rhythm than Advance Australia Fair, and easier to sing than Chichewa. No disrespect to those countries, mind you, but it’s such an easy song – the whole country knows the words already. This entry was posted in Life, politics, South Africa, Uncategorized and tagged #zumamustfall, corruption, politics, south africa, WPLongform, zuma on January 22, 2016 by Amos van der Merwe.